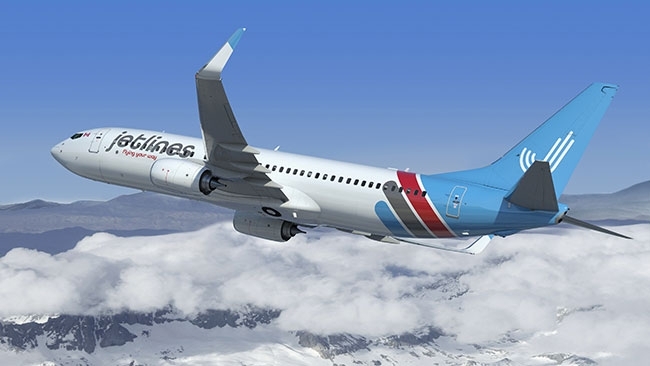 Canada Jetlines Ltd., which expects to being operations this year as a new Canadian-based ultra low cost carrier (ULCC), entered into a letter of intent (LOI) with a Korean special purpose fund led and established by InHarv Partners Ltd. The LOI is for the fund to provide financing of up to $14 million. Jetlines also announced the departure of chief operating officer, Michael Bata, and the appointment of Jyri Strandman as a special operations advisor, effective immediately. Strandman has more than 30 years of airline experience, most recently as chief operating officer of Go Airlines in India. He also worked with Spirit Airlines from 2010 to 2017 in a range of roles from director of flight training and standards to, more recently, director of operations and VP of flight operations. During his tenure, Spirit grew its Airbus fleet by 76 aircraft, adding three different A320 variants. InHarv Partners is described as a hybrid of a venture capital and private equity firm based in Seoul, South Korea, designed to raise funds in South Korea for investment in start-ups overseas. This new Korean special purpose fund includes the investment divisions of Korean manufacturing and financial institutions as its group of limited partners. Morabito continues to explain that Jetlines intends to raise the balance of the proceeds through additional debt and equity financings in the near term, with such negotiations already underway. Jong Chang is the founder and chairman of InHarv. He was previously lead partner of Booz Allen Hamilton, a global general management consultancy in the U.S., and a senior VP and founding member of KBRI (now Moody’s Korea Inc.), the first credit rating agency in Seoul. Jong used to be one of the Economic Council Members for the President of South Korea.